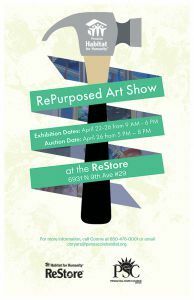 Pensacola State College and Pensacola Habitat for Humanity’s ReStore have partnered for the third year to present the “Artistically Repurposed” art exhibition and auction. The exhibition and auction will be held at the Habitat’s ReStore at 6931 N. 9th Ave. The exhibition will be open 9 a.m.-6 p.m. Monday through Friday, April 22-26, with a reception and auction set for 5-8 p.m. Friday, April 26. 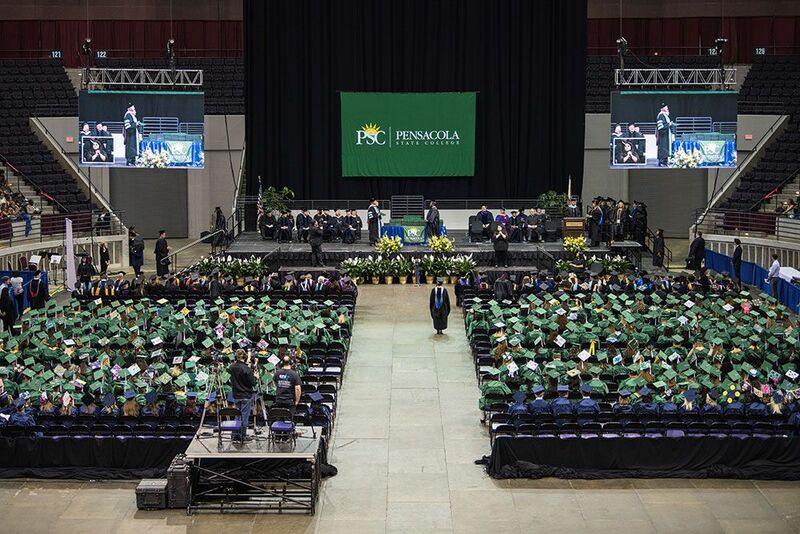 The art show and auction will feature the works of Pensacola State students and faculty and local independent artists who used recycled products to create beautiful and practical two-dimensional and three-dimensional pieces. A maximum of 50 student entries and 50 independent artists will be accepted for consideration. Prizes will be awarded for student entries. Artwork will be accepted through Wednesday, April 17, at the Habtat’s ReStore. Artwork can be two- or three-dimensional to include multimedia on canvas, repurposed wood, sculpture or any type of assemblage using materials found at the store such as tools, hardware, metal, wood, glass, lighting, ceramics, doors, windows or any general repurposed items that ignites the imagination of the artist. 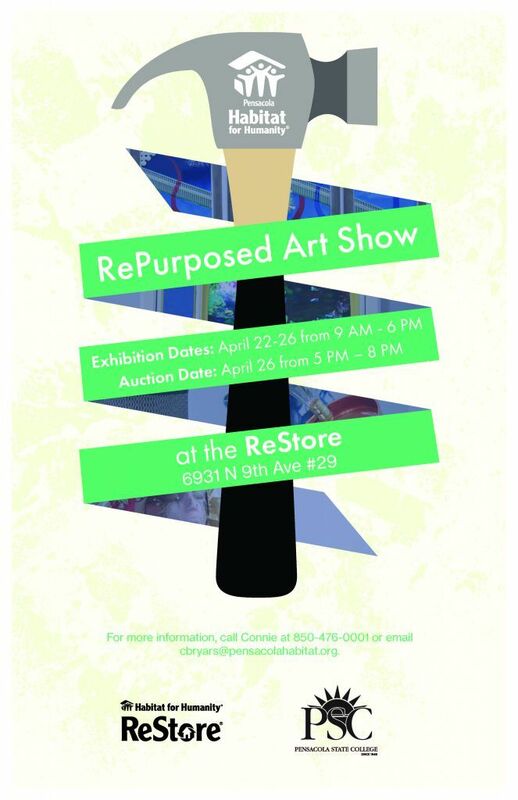 For more information, visit https://pensacolahabitat.org/repurposed-art-show.